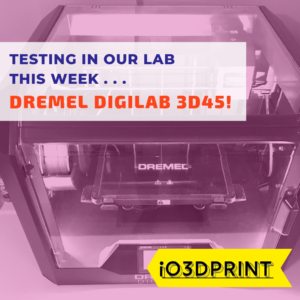 Should You Worry About 3D Printer Fumes? Some people consider the construction industry reluctant to adopt innovations and new technologies. However, in recent years the use of 3D printing technology to build fantastical architectural projects has been hitting the headlines. Initially, the 3D printing and was mainly involved in the design, engineering, and maintenance but not in the actual construction phase. However, now 3D printing technology is being used in the actual construction of large structures, and its unique abilities are being taken advantage of to realize complex architectural projects. Now the gates are open; it’s likely that 3D printing technology will completely revolutionize the construction industry and may even offer the possibility of lasting solutions to housing shortage problems worldwide. One of the most significant changes that 3D printing can bring to building architecture is the ability to create shapes and forms that would be utterly impossible using traditional materials and construction methods. 3d printing can be used to create a wide array of forms, and the same 3d printing machinery can be used to manufacture a range of different forms. Where in a conventional building you may need to switch construction methods from, say, laid brick to molded concrete, a 3d printer can achieve both types of form. As a contractor, this gives you the opportunity to try unique designs for your clients. As a result, your portfolio will open to individuals who require a variety of options from which to choose. Essentially, creating unique designs for your clients will make you a more desirable architect. A critical advantage of 3D printing in the construction industry is the reduction of material waste. 3D printers are precise and use the exact amount of material needed for the wall, floor or whichever feature of the building. This precision is especially useful on load-bearing features where stress analysis and Finite Element methods can be used to accurately model load paths and design architectural geometry that is a strong as it needs to be but no more. Also, you will know the precise amount of material you will need to order from the manufacturer. This way, there will be no need for estimating or ordering bulk materials that ultimately become waste. 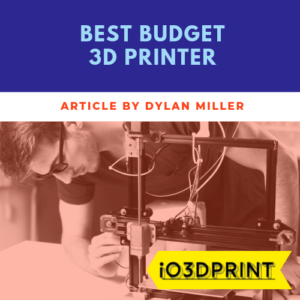 As a result, 3d printing can help to reduce material costs significantly. The method of using 3D printing technology in the construction industry can be more sustainable and environmentally friendly compared to traditional methods. Speed is where 3D printing technology sets itself apart from traditional construction methods. In a comparable project, construction using conventional methods may take months to complete where 3D printing could finish the whole project in a matter of days. Architectural designs need to be optimized to take advantage of the speed of 3d printing, but when they are, significant gains can arise. A 3D printer was once used to construct a complete house in 24hrs! If you are a contractor, the short construction time will allow you to move to other projects quickly, and more projects will translate to more money! Unlike in other industries like medicine, the concept of 3D printing is relatively new in the construction industry. As a result, there are infinite possibilities that technology can achieve in the industry. As a contractor, you will be able to access markets that you previously perceived as inaccessible. Also, using 3d printing in the construction industry will set you apart from other companies that have been around and are resistant to change. Similarly, construction companies that are still using traditional methods can always adopt 3d printing to make them remain relevant in the market. Essentially, 3D technology is not only an excellent opportunity to enter a new market, but it can also offer established companies a competitive edge. The use of 3D printers in building construction can be more economical compared to traditional techniques and processes. You may realize savings due to reduced material costs, reduced labor costs, reduced time to complete a project, and the ability to react to changes in the design brief quickly. One of the less thought about advantages of 3d printing in the construction industry could be a reduction in the number of workforce injuries. Traditional construction methods are difficult and dangerous, and the use of 3D printing can be used to lessen these risks. 3D printing can help workers avoid heavy labor such as brick-laying and concrete pouring and risk-prone jobs like ladder and roofing work. Because of the way 3d printing can build such organic shapes, 3d printed architecture can be designed to have strength exactly where it is needed. It can also make it easier to develop a bespoke architecture that is unique to the landscape in which it sits. Computer analysis allows you to shape buildings to the land they sit on and take advantage of natural formations such as rock structures. If the structure is durable, it means fewer repairs will be necessary. Fewer repairs will help contractors focus their efforts on other projects to make profits. Besides, most clients are likely to settle on a building that will last longer with fewer repairs required. 3D printing technology could displace many workers that are skilled in the traditional methods of construction. Employees that do not learn the skills to use 3D printers will be laid off. A 3D printer could, in theory, replace multiple skilled workers. On the flip side, more people will get employed in companies that manufacture the 3D printers and their maintenance. The 3D printers used in the construction industry are large, some designs are even more massive than the building they create, as they have to span across it. Transporting these large 3D printers to the construction site will be a challenge. In most cases, they will require dismantling for transportation. On some building sites, where access and land space is limited, some 3d printers will not be able to be used. Even though 3d printers are accurate and precise, any error in the digital model can result in issues during the construction phase. Therefore, the printers will require special handling and skills to avoid mistakes. Any manufacturers, suppliers, and operators of existing construction equipment that may become obsolete by 3d printing will suffer if they do not keep up with this new technology. According to the charity Habitat for Humanity, over one billion people worldwide lack adequate shelter. This global housing crisis requires a lasting solution that will provide affordable and sustainable houses. 3D printing may be a solution to this vast worldwide problem. If 3D printing in the construction industry is used to its full potential, it will revolutionize the construction process. It could allow the building of houses at a fraction of the cost of traditional construction methods. Also, if used with care it can take advantage of sustainable materials, reduce transportation costs, pollution and waste. Due to the dramatic increase in population, it is not a surprise that even developed nations are struggling with affordable houses, especially in urban areas. As more and more people are struggling with skyrocketing property prices, the housing crisis is expected to get worse. A recent report by McKinsey Global Institute (MGI) indicates that a third of urban dwellers will be unable to afford decent housing by 2025. Significant resources will be required to address the current inadequate housing and meeting the demand for affordable houses. Reducing construction costs is one of the best ways to address the issue of housing. The MGI report suggests that the construction sector has been stagnant in the last few decades with little innovation in terms of building methods. Also, the report indicates that developers could significantly reduce project cost if they could adopt value engineering and innovative solutions. Besides using 3D printing as a hobby, it is a serious contender for bringing enormous changes into how we construct houses. Even though houses have been made using 3D printed components, using the technology to create an entire home is a new concept that has not taken root in the industry. However, as technology continues to advance, it will become the most sort after sustainable option for creating houses. All around the world, architecture firms and construction companies are turning to 3D printing technology to build innovative and affordable structures. 3D printing construction started as a conceptual idea, but in recent times, it has been gaining prominence. For instance, we have seen the fully printed office in Dubai, a four-roomed house constructed in hours, an entire village under construction and many more. It appears like architects and designers are relying on 3D printing technology to plan, prototype and actualize structures with wildest designs. A San Francisco-based 3D printing start-up known as Apis Cor is envisioning a future where it can complete entire homes in just 24 hours. Even though it may seem a far-fetched endeavor, the company recently demonstrated that it is possible. The 3D printed house will cost significantly less than studio apartments in San Francisco. In partnership with a Russian developer PIK, Apis Cors was able to print a 38sqm house at its test facility in Russia for just $10000. A 3D printer was used to process layer after layer of the concrete mixture which the company claims can last up to 175 years. After entirely printing the walls and then removing the printer from the site, several contractors were involved in the installing insulation, windows, appliances, and the roof. Although the house had an unusual design, the company indicated that there is a wide variety of house design options that can be printed with their machines. Apis Cor indicated that it could build and furnish these small houses for $10000 (£8,000) inclusive of fixtures and fittings such as electricals, plumbing, and glazing. The homes will feature bedroom, bathroom, and hallway and can be constructed in just 24 hours. According to the CEO of the company Chen-Lun-Tai, the project will be tested in different parts of the world to demonstrate feasibility. With the cost of housing becoming a primary subject of debate in major cities, Apis Cor’s solution will pave the way to affordable living. Also, it can be of great help to people affected by natural disasters such as hurricanes and earthquakes. A team of researchers, scientists, and engineers from France were able to construct a four bedroomed house in a matter of hours. According to the BBC, the developers believe that they can create a similar or bigger home in even fewer hours in the future. The 1022-square-foot house that is located in the north-western city of Nantes only took about 52 hours to complete. It contains one bathroom with full shower. The house can comfortably fit a family of five. It also features sliding doors and windows. Also, it has some of the latest technology such as the Internet of Things (IoT). The technology will enable residents to manage and control things like heating temperature using their mobile devices. The developers used a novel BatiPrint 3D printing process where a 3D printing robot constructs the houses elaborate curved walls. The designs are created in CAD and then set to the printer which brings them to life. BatiPrint 3D printing machines create layer upon layer from the ground up. Each wall contains two layers of expansive foam (polyurethane) that serve as an insulator and a third layer of concrete. The movement of the robot is controlled by a laser sensor that reads instructions on the digital model of the house. In most cases, a typical single-family house in the US takes an average of seven months to complete. Now there is an Austin-based start-up company known as ICON that is promising to produce homes 200 times faster – one house in a day. The company uses a mega-sized 3d printer named Vulcan. Engineers create digital designs that are processed through a slicer software that translate the designs into programming language G-code. The code controls the way the printer moves along its track that extrudes 3/4 inch-thick layers of concrete. The base material used in the construction is made from cement, sand, plasticizers and other aggregates. It is poured into a hopper at the top of the printer and flows layer upon layer to create walls. One of the biggest aims of the Icon Company is to create affordable homes that will alleviate the housing crisis in the world. In fact, in 2019 the company intends to ship the printing machine to El Salvador where it plans to build 100 homes for disadvantaged families. The base material is finely composed to prevent sagging as seen in traditional building methods. Icon is planning to incorporate other materials such as insulating foams and plastic. Vulcan printer runs on motors that only require 240V of power. A low power requirement will not overwhelm fragile power grids even in developing countries. The printer operates by running along 10-inch-wide tracks as the home rises. With this method, there is no limit to how high it can build the wall. Yingchuang Building Technique (Shanghai) also known as Winsun, is a pioneer in the 3D printing construction industry. It started as a supplier of 3D building components especially interior décor. The company made headlines worldwide in 2014 when it printed a batch of ten complete houses in hours. Since then, the company has been involved with major ambitious projects that get the attention of the media. One of their most prominent projects was the stylish office building in Dubai for Dubai Future foundation. Due to its efforts to revolutionize the construction industry worldwide, the company now owns 151 patents. The company has increased productivity and realized significant cost saving because of using superior innovations. According to the company, building a standard house will only cost $4800 and take only a day to complete. Also, the technology allows them to source most of their materials from waste which is environmentally beneficial as compared to traditional methods. Also, the printing process minimizes waste from the construction process as this method is dust free. To date, the company has delivered over 100 houses of various designs and types in Dubai. After successfully executing the Dubai Future foundation’s project, the government of Dubai has contracted the company to build 17 office buildings using 3D printing technology. As the company continues to grow, it should address some pertinent issues to achieve its full potential. One of the biggest challenges is to prove to designers, project developers and other end users that 3D printing technology can print houses. Winsun hopes to prove to people that 3D printing technology in the construction industry is viable and possible. Recently, the company has been initiating highly visible prototypes such as the more than 100 meters high building near Shanghai. The Dubai office was recently unveiled as the first 3D printed office building in the world. The project was executed layer by layer using a 20-foot-tall 3D printer. Each structural component of the structure was made from a mixture of special reinforced concrete (SRC) and other recycled construction materials. The building hosts the management office for the Museum of the Future. It is also the headquarters of the Dubai Future Foundation which has been mandated to deliver smart technologies to the city. One significant benefit of using 3D printing technology in the construction industry is the speed to complete projects. It only took seventeen days to print all the components and just two days to assemble the entire structure. The resulting structure features an arc shape to improve stability. It is packed with top of the range technologies and spans a space of 250 square meters. Dubai is planning to have 25 percent of its building constructed using 3D printing technology by 2030. The strategy aims to reduce the costs involved in the construction industry. This unique initiative aims to promote the status of Dubai as a leading center for 3D printing. WinSun Global constructed the office; they are a Chinese company that specializes in 3D printing construction. WASP is an Italian manufacturer and one of the leading 3D printing companies in the world. It extends into multiple industries such as medicine, food and much more. However, the company has become most well-known for its role in the 3D printing construction industry. Currently, the company is undertaking an ambitious project of printing an entire village! The project will be undertaken using a new 3D printer dubbed as ‘the infinity 3D printer’. It is a modular 3D printing system with different configurations and can print cement, natural materials such as soil. The components of the printer can be assembled and disassembled for easy transportation. A single module of the infinity 3D printer has a print area of 6.6 meters in diameter and 3.0 meters in height. Compared to its predecessor, the BigDelta 12M, the infinity 3D printer has a smaller footprint but a larger print area. Also, it is designed to print using local on-site materials with the addition of natural fibers. The first structure the infinity 3D printer was used for is known as Gaia Module. Gaia Module is a tiny liveable structure complete with insulation and coating. It is printed from soil mixed with rice husks and straw used in the interiors of the walls. One of the most ambitious 3D construction projects is the Canal House in Amsterdam that is currently executed by DUS Architects. The firm’s latest project is the 3D Print Urban Cabin which is relatively small and created with sustainable bio-plastic material. It is located within a former industrial area of Amsterdam and is accompanied by a pocket park and outdoor bathtub. The cabin is part of the firm’s project known as ‘3D Print Living It’ which intends to explore the use of 3D printing construction to provide affordable and sustainable houses within urban environments. The materials that were used to construct the cabin can be shredded down and reused for other designs. Even though the cabin is relatively small measuring just 25 cubic meters, it is exceptionally structurally sound. Also, it features angular protrusions that are patterned throughout the exterior to provide a unique design. When building a home, the total time you will take will depend on factors such as size and complexity. Most standard sized houses are completed within a couple of months. A Chinese construction company HuaShang Tengda is proving that construction time can be reduced significantly. The company successfully built a 2-story house in only one month and a half using 3D printing technology. HuaShang Tengda is believed to be the biggest competitor to Winsun that has already successfully created 3D printed houses. Unfortunately, the reputation of Winsun was tainted when Dr. Berokh Khoshnevis claimed that the rival company stole his technology. Dr. Berokh also indicated that Winsun did not construct using 3D printing technology. Instead, the company creates 3D printed parts that are assembled using other methods of construction. On the other hand, HuaShang Tengda has successfully built a two-story house on-site using 3D printing technology. The company uses a construction method that sets it apart from its competitors. For instance, the company uses tough concrete material dubbed as ‘Class C30 concrete’. Arup is an Engineering firm while CLS Architetti is an architecture studio. The two companies partnered to construct a house using a portable robot that utilized 3D printing technology. The 100 square meter house was printed on site and completed within a week. It featured a living area, bedroom, kitchen, and bathroom. The robot that printed the house was designed by 3d printing company from the Netherlands known as Cybe Construction. A unique mix of concrete and additives were used to create the walls. It was developed by Italcementi which one of the biggest largest cement suppliers in the world. The concrete mixture is squeezed through the robot’s nozzle with each section of the wall built from the ground layer upon layer. Each part of the wall took approximately an hour to build and five minutes to cure. The robot can be programmed to make the walls in different sizes and shapes. Even though the printed house is just a prototype, the company believes that the technology could be used to construct homes quickly and at a lower cost. Over the past few years, several companies have successfully built actual houses using 3D printing technology. For instance, the office building in Dubai was constructed by a Chinese company. In the Netherlands, there is a 3D printed canal house project under construction. Initially, there wasn’t any manufacturer that produced house 3D printers for selling. However, a Slovenian company identified as BetAbram is manufacturing and selling house 3D printers to the public. BetAbram printers are available in three models with the main difference being the size of the printable area. The P3 is the smallest with an area of 4 X 3 square meters, and it is intended for 3D printing enthusiasts. There is also the P2 house which measures 12 X 6 square meters and is ideal for semi-professionals. The P1 model is the largest with a printable area of 16 X 9 meters squared. It is mainly aimed at construction companies. Machines-3D is a French 3D printing reseller. Recently, during the Machinarium II exhibition, they launched a construction 3D printer named as Construction 3D. At the event, the capability of the printer was showcased including a 3d printed bench. Essentially, the printer is an industrial crane that is operated with in-house software. The company has also developed a special mortar adapted for 3D printing. For $ 452,972, you can pre-order a package that includes the printer, extrusion material, and software. The printer weighs 2.4 tons. However, it is foldable and can fit through a single door, making it easy to transport the printer to the construction site. One of the most significant advantages of the Construction 3D printer is the printing speed. The manufacturer claims that the printer can print a 100 square meter in just 48 hours. They aim to reduce this time by half by the end of the year. This 3D printer helps to reduce construction cost significantly. Only two people are required to operate the machine on site. Pinthuset from Denmark is one of the most prominent 3D printing companies in the world. Unlike its competitors, this company takes realistic approaches in to deliver quality results. In 2017, the company unveiled the first 3D printed house in Europe known as Building on Demand (BOD) using BOD1. Recently, the company introduced its second construction 3d printer, the BOD2, which is ten times faster than its predecessor BOD1. It consists of modules of 2.5 meters in length. Each complete system must have a minimum of X-module, 2 Y-modules, and 4 Z-modules. Due to the high demand of the BOD2, the company decided to create an entirely new company for 3D printing construction activities. It will be known as COBOD International and will be responsible for the sale of BOD2 and other 3D innovations. Cybe Construction is a Dutch 3d printing company that has made a name for itself in the construction 3D printing industry. The company has completed printing a drone research and development laboratory for the Dubai Electricity and Water Authority (DEWA). The building is 168sqm and was printed on site in just three weeks using Cybe RC 3Dp machine. Cybe aims to provide a reliable method of constructing houses using 3D printing technology. The RC 3Dp features rubber wheel tracks which enables it to roam freely around the site. According to Cybe Construction, the Dubai laboratory is the first laboratory in the world to be fully printed on-site. The printing process was done in a controlled environment under a large tent in the middle of the desert. By achieving this, the team was able to protect the process from external conditions. The construction industry was reluctant to adopt 3D technology compared to other industries like manufacturing. However, 3d printing technology has taken the construction industry by storm with multiple companies springing up to showcase just how useful it can be. It is now possible to print a complete house within a matter of hours. As the world population continues to surge at an alarming rate, housing is becoming a scarce and a significant number of people live in deplorable conditions. 3D printing technology will help to address the demand for houses. The future possibilities of 3D printing in the construction industry are infinite. 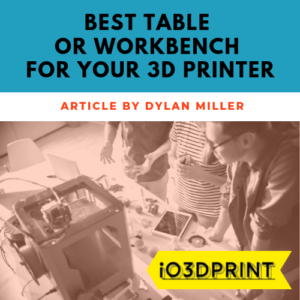 Dylan Miller lives and breathes 3D printing. 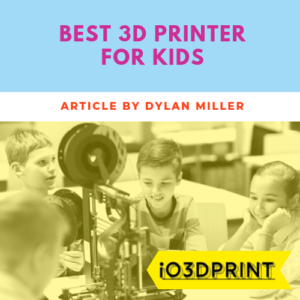 He loves how 3D printing makes it seem like you are living in the future!He has worked with 3D printers for 15 years as a professional engineer and now teaches graduate engineers how to use them.Dylan's mission is to introduce 3D printing to everyone and show them how easy, useful, and creative it is. I spend all day working with industrial 3D Printers, then I spend my evenings and weekends doing more 3D Printing at home! I started this website when my friend, Josh bought a 3D printer that I knew was a poor choice and he quickly got frustrated and gave up trying to get it to work. I realized there was a lack of good information available online so I wrote a few articles and started this blog. Now, I get visitors and emails every day from people needing advice and it makes me very happy to provide it and get more members into the 3D printing club! Oh, and Josh took my advice, upgraded to a CR-10 and is loving his new hobby! If you have any questions or just want to say ‘hi’ to a fellow 3D printing enthusiast, hit the contact me button and I’ll get back to you asap. Like many blogs I may earn an affiliate commission if you buy products after clicking on my links. This doesn’t cost you any more and helps me maintain this site and my hobby.